James was in the village of Wilmington in Kent, to install these traditional shutters to a clients bay window. The bay window was located in the living room, recessed in with spot lights above. We carefully measured the area and talked through all the styles and designs with the client, who opted on having café style shutters. This style works fantastically with bay windows and creates an elegant and traditional look. 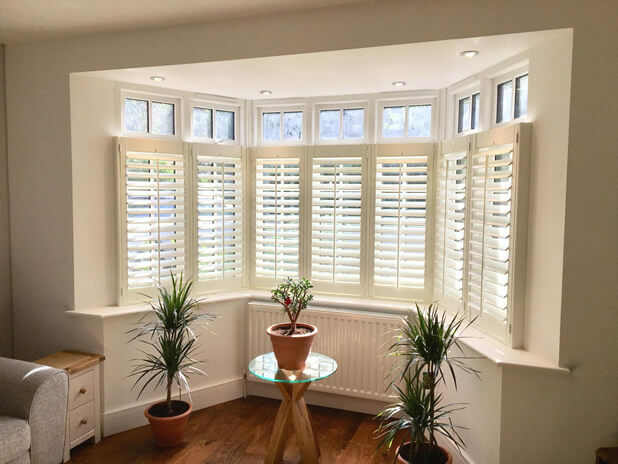 These bay window shutters were designed to fill ¾ of the window area and perfectly line up with the bottom and top sections of the window. 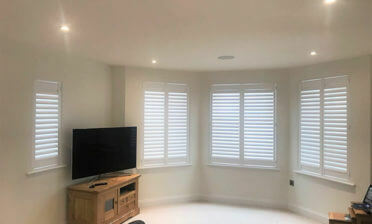 Also by having this size of café shutters you can make the most of privacy while also allowing for permanent light entry at the top without compromising to much privacy. Full access is also created for opening the windows at the top without having to open the shutters. 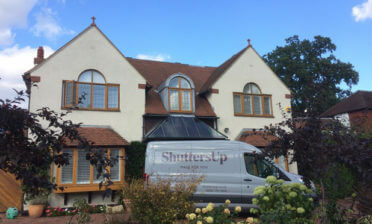 As the client lives on a busy main road this was a very suitable option without compromising the lighting from the top. 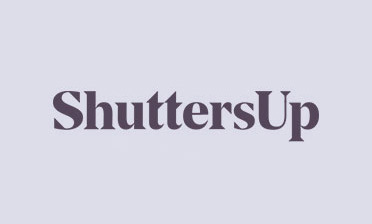 The shutters were created using centralised tilt rods on all panels and 76mm louvres. This helped create a traditional look which also still worked perfectly with the more modern touches of the room. At night the spotlights light up the shutter panels and create an amazing feature of the room. We used a Bisque colour with matching hinges which work with the existing room décor perfectly!